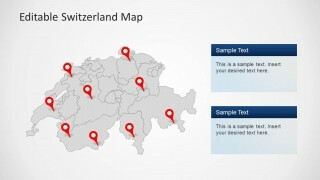 Editable Switzerland Map Template for PowerPoint is an expertly crafted map template with all major regions of Switzerland laid out in the form of an editable map. 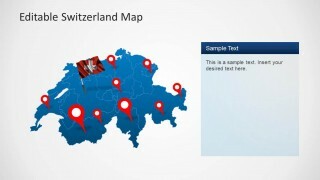 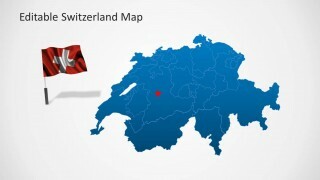 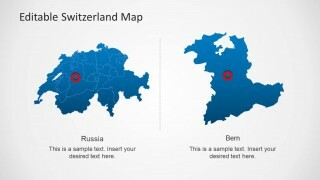 This template not only provides a complete map of Switzerland but can also be used to highlight and single out major areas of the country from the main map. 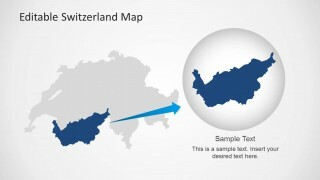 This can be done by either extracting a sub-map from the main map via drag and drop or by changing the size and color of various areas within the main map. 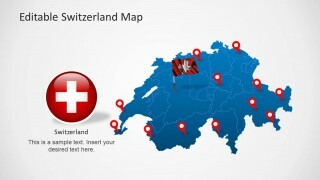 To further help users with marking impotent areas on the map, the template also provides GPS marker icons. 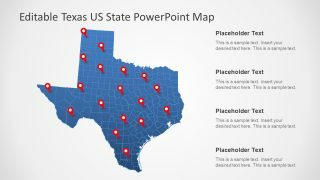 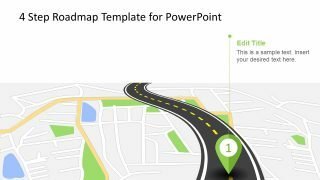 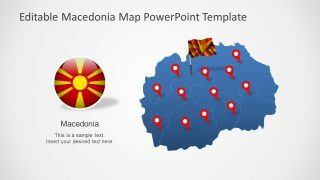 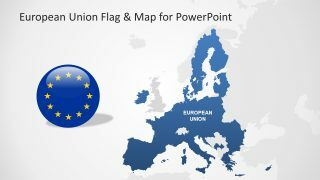 Also see our complete collection of Editable Map Templates for PowerPoint.